AME Systems, a privately owned designer and manufacturer of electrical wiring harnesses and assemblies, has been awarded a $20 million package of LAND 400 work by BAE Systems Australia. The deal, which is conditioned on BAE winning the Land 400 contract, will see AME manufacture electrical wiring harnesses for the AMV35 Combat Reconnaissance Vehicle, which is being offered to the Army as a replacement for its ageing ASLAV fleet. 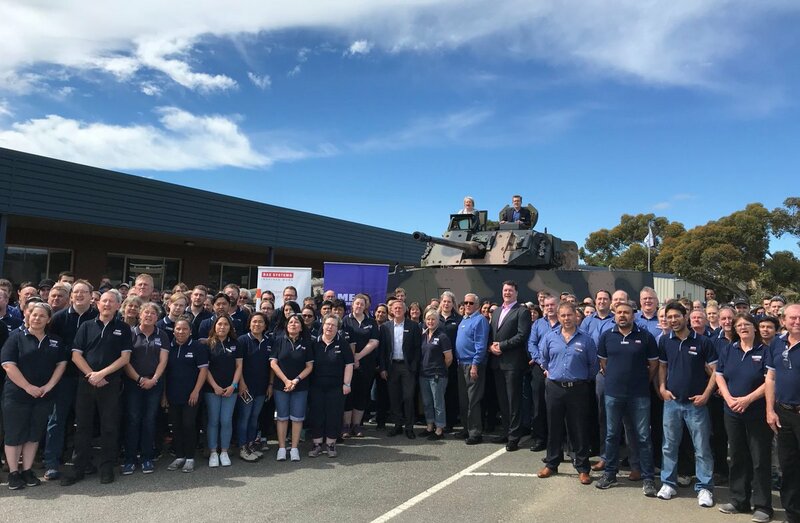 BAE Systems Australia Chief Executive, Glynn Phillips, said the company was pleased to build on the long-lasting relationship with AME Systems with the LAND 400 offering. “It (AME Systems) has a highly skilled workforce ready to work with us to deliver a high quality product for the Australian Army,” he added. AME Systems Managing Director, Nick Carthew, said the contract will enable the creation of up to 25 additional direct jobs at the company. “As the largest employer in the region, this opportunity is incredibly important for the people of Ararat and the surrounding area,” he concluded.